Seed priming is a treatment that controls seed water content to partially activate germination processes such as metabolism but prevents full germination of the seeds. The treatment is well known to enhance seed performance, including germination, but sometimes reduces seed storability or longevity as a side effect. 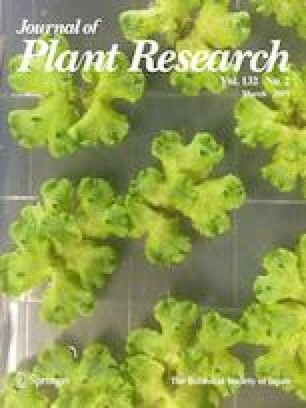 Toward developing a novel priming technique that can maintain seed longevity for a longer time period, chemicals that suppress the seed deterioration under a controlled condition were screened from 80 known biologically active compounds contained in the RIKEN NPDepo authentic library using Arabidopsis thaliana seeds. Seeds primed with mimosine, a cell cycle inhibitor, retained higher survival rate after a controlled deterioration treatment compared to seeds primed without the chemical. In addition, other cell cycle inhibitors such as aphidicolin, hydroxyurea and oryzalin had similar effects on the seed storability after priming. Our results suggest that progression of the cell cycle during priming is an important checkpoint that determines the storability of seeds after the treatment. The online version of this article ( https://doi.org/10.1007/s10265-018-01084-5) contains supplementary material, which is available to authorized users. This study was supported by RIKEN Special Postdoctoral Researcher Program to N.S. We thank Dr. Hiroyuki Osada and Dr. Hiroyuki Hirano (RIKEN CSRS) for providing the NPDepo authentic library, the Arabidopsis Biological Resource Center (ABRC) for providing natural accessions, and Ms. Masako Tanaka (RIKEN CSRS) for her assistance with plant growth and seed harvesting. NS and MS designed the experiments. NS performed the experiments. NS and MS discussed the results and wrote the manuscript.